The Tonys are just a few days away, and we couldn't be more ready. 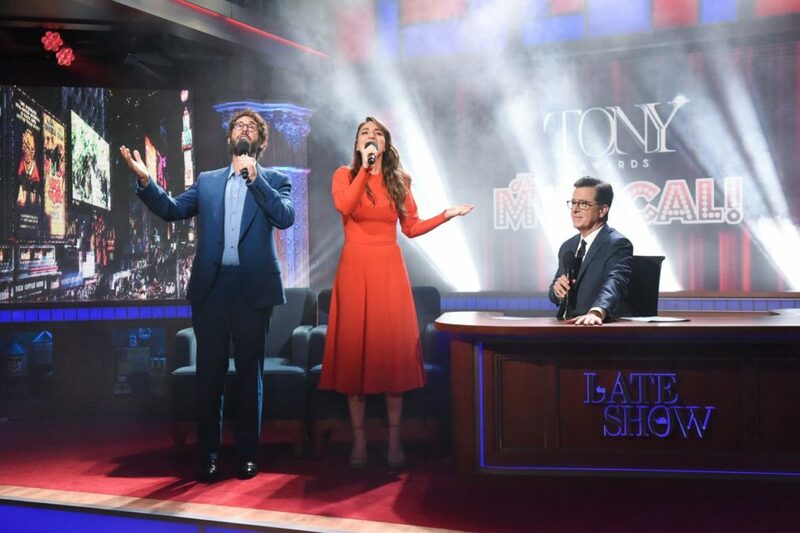 Tony-nommed co-hosts Josh Groban and Sara Bareilles paid a visit to The Late Show with Stephen Colbert on June 6 to get TV audiences pumped about Broadway's biggest night. In reviewing the season, Colbert pointed about the high number of new musicals based on movies. "I don't understand why nobody has come along to make a musical of the Tonys," he continued. Well, Groban and Bareilles did just that with what they call Tony Awards The Musical. Watch the duo sing out below—with a memorable finale sung with Colbert—and be sure to tune in to the 72nd Annual Tony Awards this Sunday on CBS.